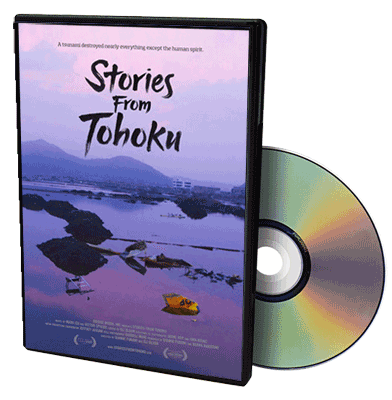 The Stories From Tohoku DVD is available from Bridge Media for $24.95. The film captures the stories of survivors of the March 11, 2011 earthquake, tsunami, and nuclear disaster in the northeast region of Japan known as Tohoku. Using no narration and only first person accounts, survivors reflect stoicism, perseverance, and acceptance of their life-changing situation in ways that are marked contrasts to a more Western approach to life.